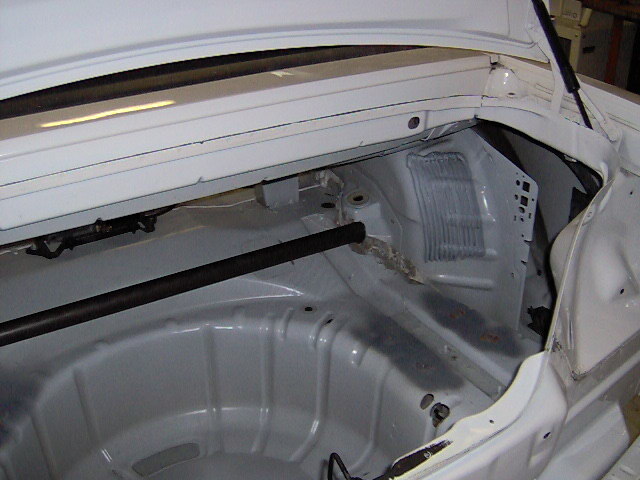 Two 1 5/8" holes were bored into the pillars and a piece of 1 5/8" chrome moly tubing was fit under the dashboard. 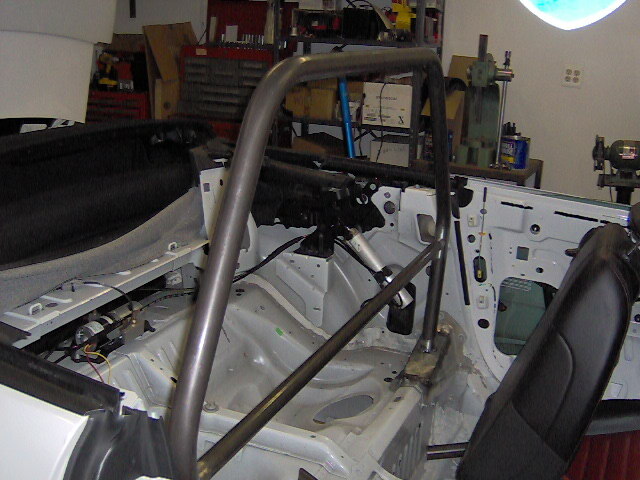 This tube will intersect with the door frame tubes and the front floor post tubes. 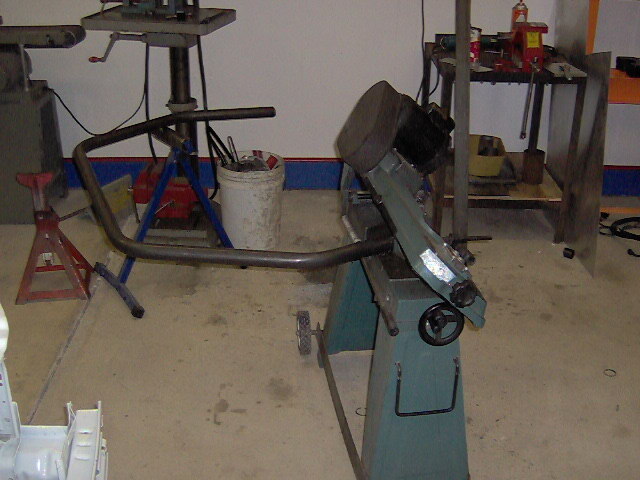 All tubing is bent with a KD2 tube bender. 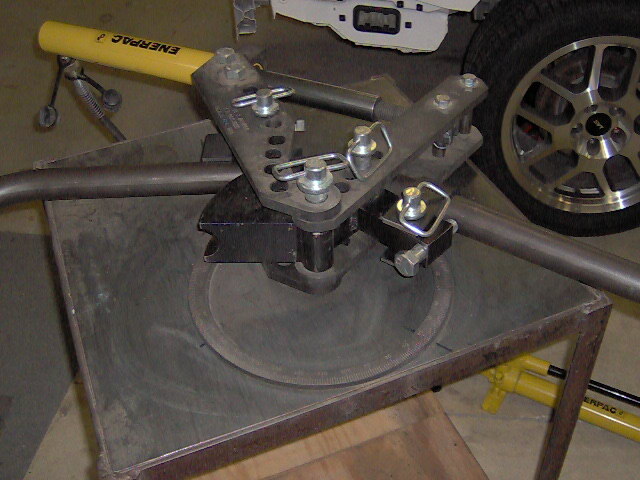 Mounting pad for main hoop. 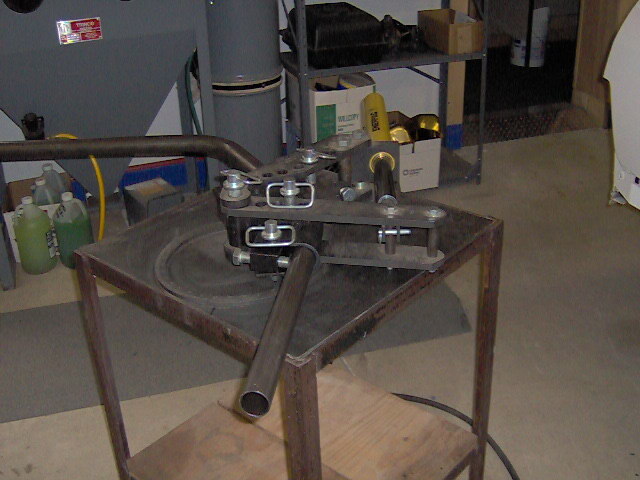 The bottom legs of the main hoop were cut on an angle to fit it to the correct height. 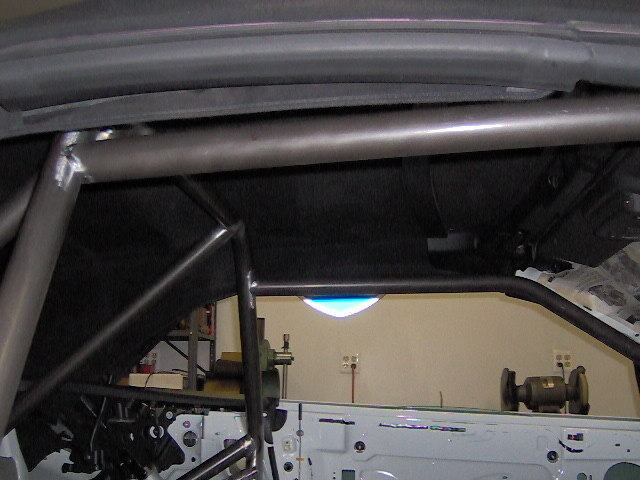 Main hoop located and tack welded into place in the car. 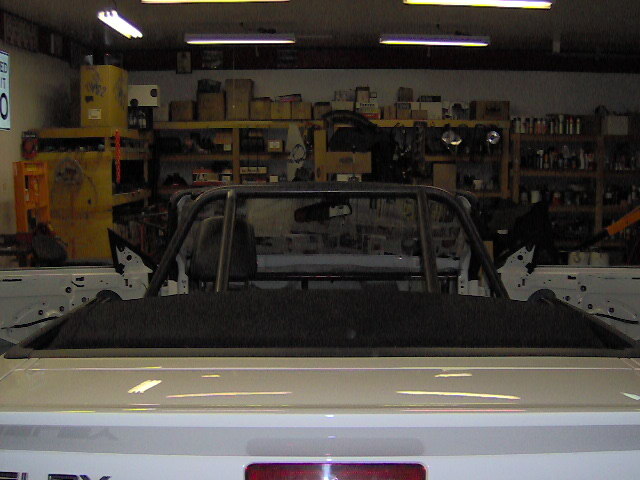 View of the main hoop in the car with the top down. 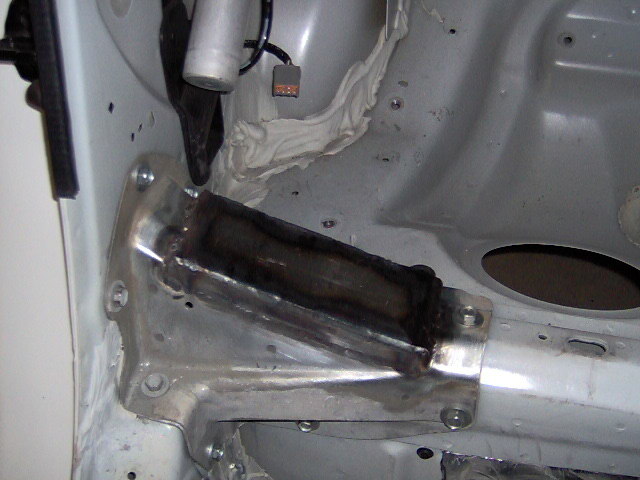 Two 1 5/8" holes were bored into the rear shock towers and a piece of 1 5/8" chrome moly tubing was fit in between them. 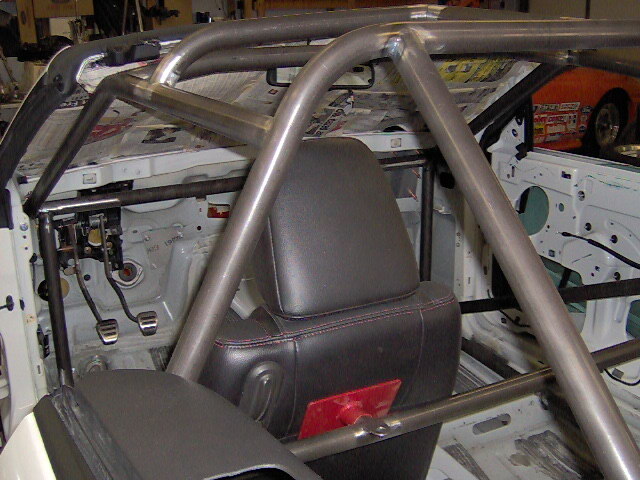 A seat back brace made of 1 1/4" chrome moly tube was fitted inside the main hoop. 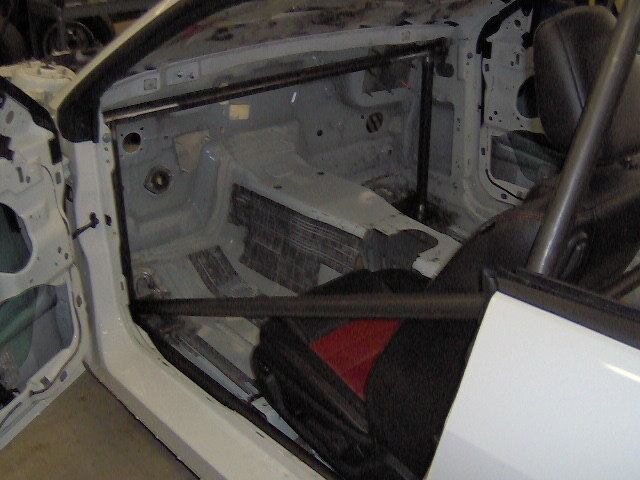 A bar from the dash brace to floor was fitted at tack welded into place. 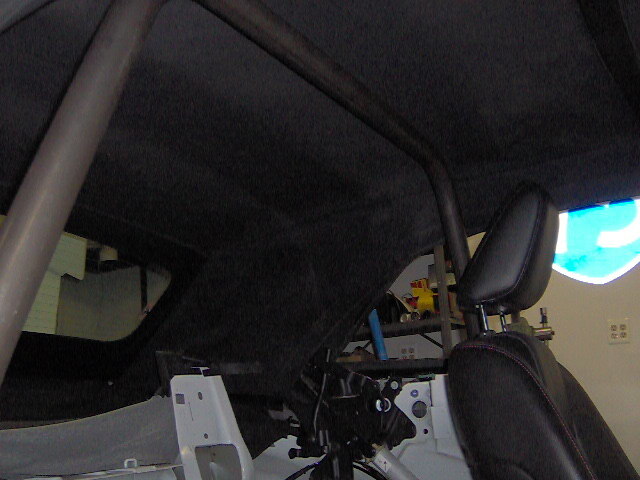 Bars from the shock cross brace to main hoop were fit. 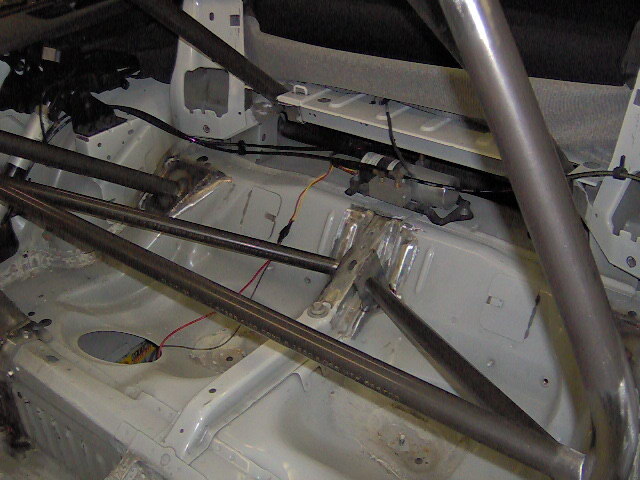 Rear view of the bars fom the main hoop to the shock cross brace. 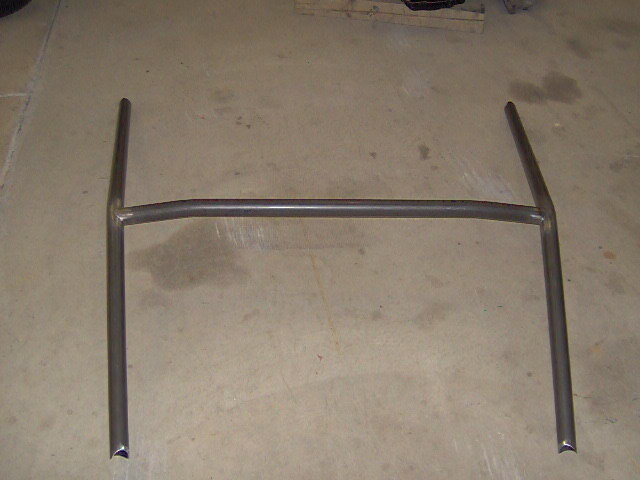 Bars from the shock cross brace to the main hoop. 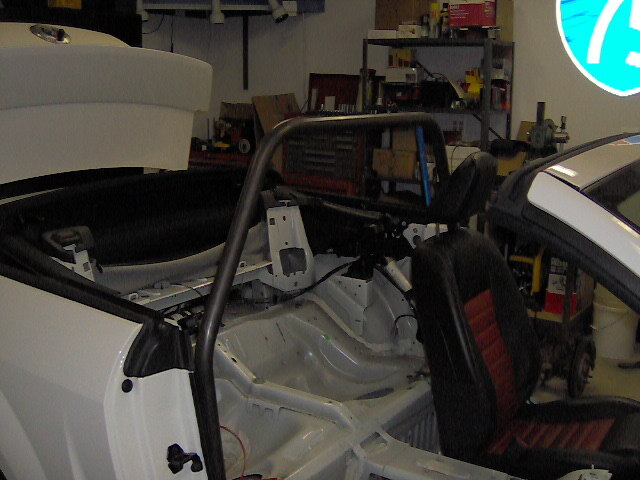 Sill bar with driver seat. 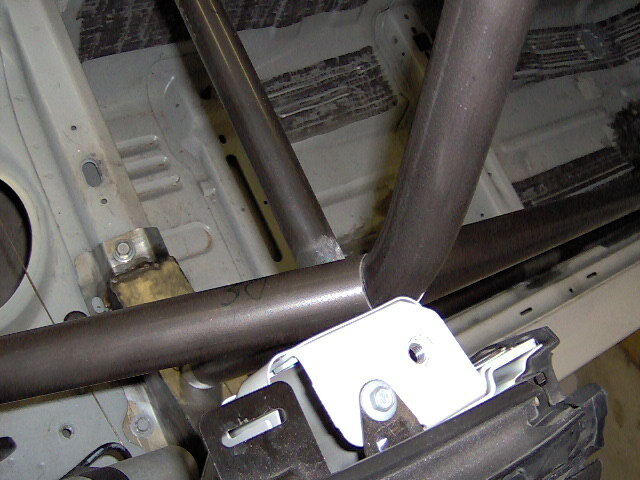 Braces from main hoop to upper 3 link mount point. 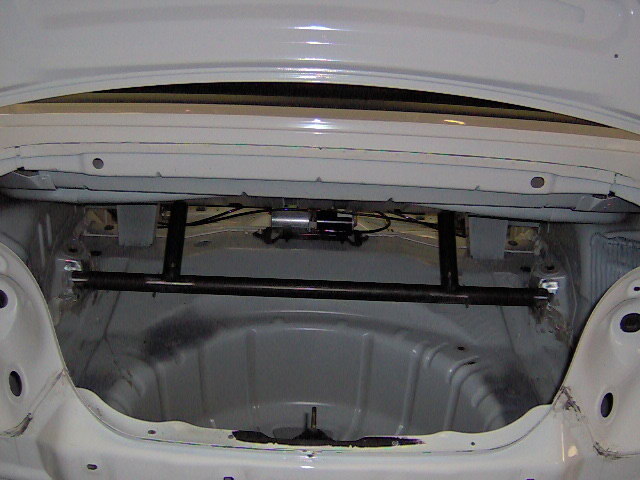 Side bar fitted and ready to weld. 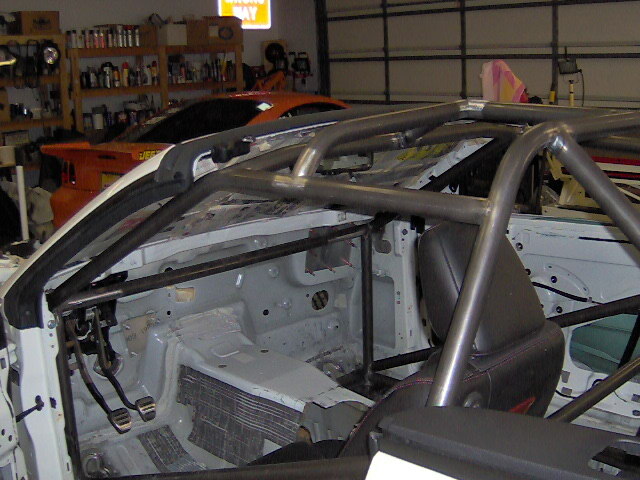 Cage fit to convertible top. 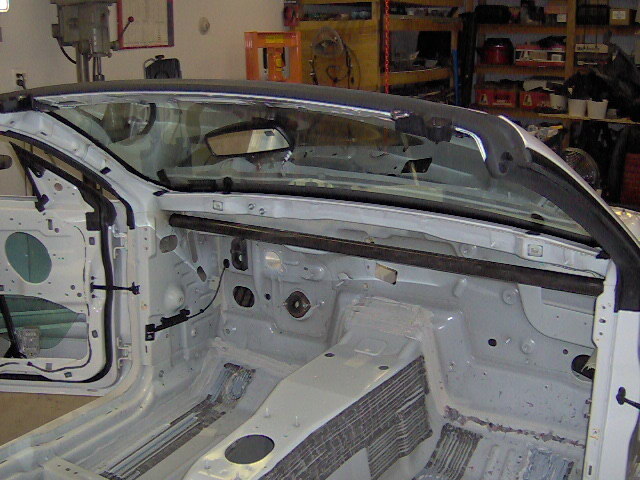 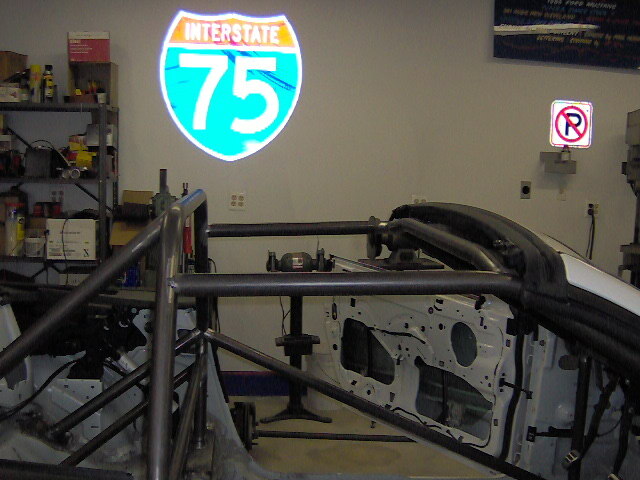 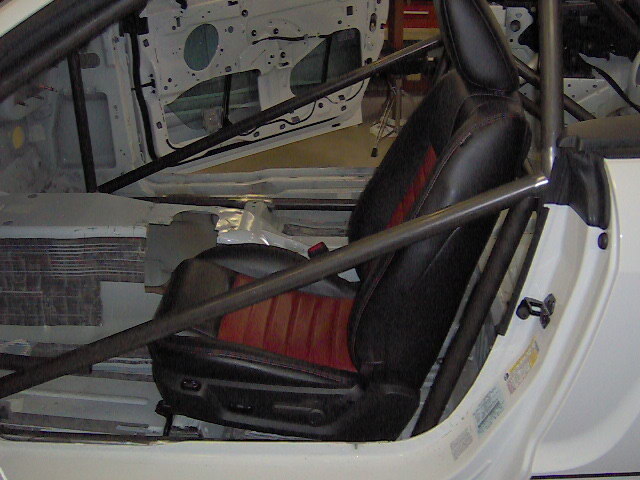 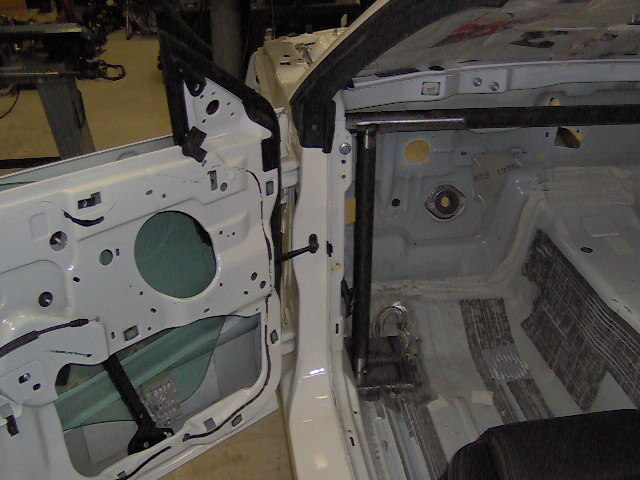 View of roll cage with top down. 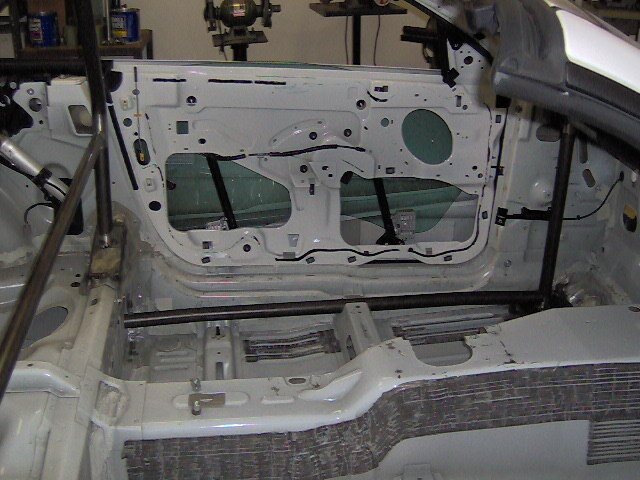 side window bars and windshield bar weled together. 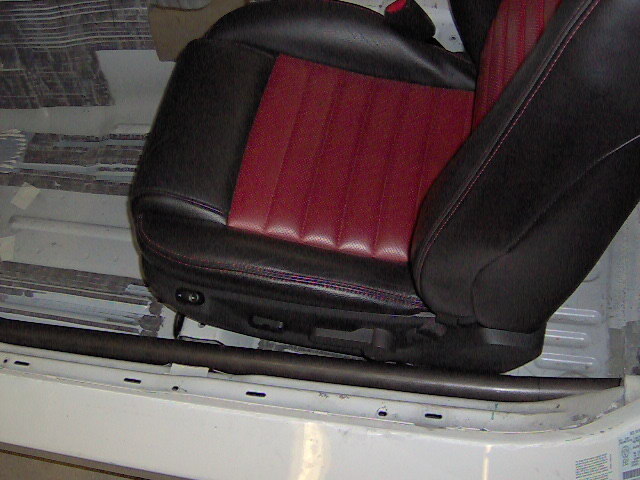 Seat with side bar installed. 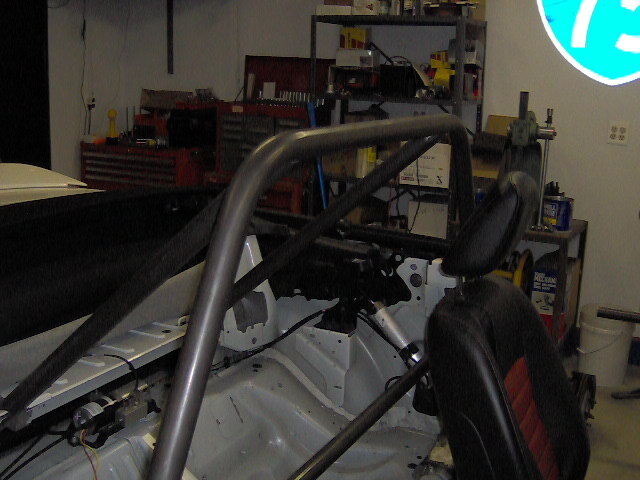 2 Additional bars on top of cage for extra protection.